Unfortunately, this scenario can never be possible in real life. With Kacy’s small petite built (merely 10 inches in length and weighs around 70 grams), she won’t be able to open a life-size drawer that is many times bigger than her. 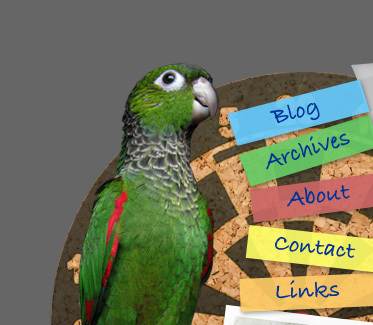 Although Kacy can never possibly help me retrieve a mail from my drawer in real life, but this interesting parrot trick that I taught her has brought lots of fun and laughter to the family! This parrot trick is actually a great example of a behavior chain which involves a series of behaviors linked together. As Kacy is familiar with retrieval (also known as fetching), I only had to spend a few days training her on how to open the drawer. After a week of parrot training, I was able to chain up all the behaviors together and got Kacy to perform the whole sequence. Overall, Kacy did an awesome job. She really did it! no wonder i see that drawer somewhere.. DAISO! my Maximum only can flip a bottle cap =( how is it possible to do it without treat! ?